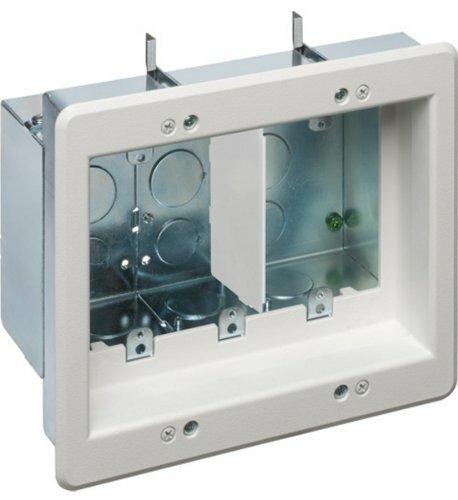 Arlington TVBS507-1 Steel TV Box Recessed Outlet Wall Plate Kit, Steel box with non-metallic paintable trim plate. Perfect way to mount flat screen TVs flush against the wall. Recessed bracket sits behind the wall to help you hide wires. Adjusts to fit 1/4-Inch to 1-1/2-Inch thick wall board, paneling or drywall. Designed for power and low voltage wiring-perfect for lcd, led, plasma tv in black.